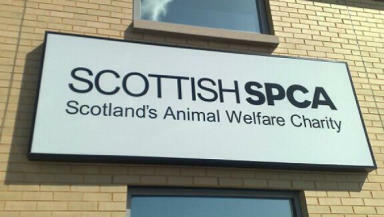 Planning consent granted for a £3.5m SPCA facility which will create 21 jobs. Planning consent has been granted for a new multi-million pound national wildlife rescue centre near Alloa. The £3.5m investment from Scotland's largest animal welfare charity the Scottish SPCA will create fourteen permanent and nine seasonal jobs. Clackmannanshire councillors unanimously approved the new facility at a former council-owned riding school at Fishcross, near Alloa, which will feature a state-of -the-art veterinary hospital, aviaries and sea pools for sea birds and marine wildlife. Scottish SPCA chief superintendent Mike Flynn said the new centre will be able to handle more rescued animals, ranging from hedgehogs to endangered species, than the Society's current wildlife centre at Middlebank in Fife - which will close as soon as the new one is up and running. He said: "We are delighted that Clackmannanshire Council has granted planning permission for our new National Wildlife Rescue Centre, subject to conditions. "Clackmannanshire is an ideal central location for this new centre which will be serving the whole of Scotland and we have been impressed with the dynamic and proactive approach of Clackmannanshire Council towards the project." He added: "The Scottish SPCA already rescues and rehabilitates over 3000 wild mammals and birds each year and this new centre will have larger and improved facilities to enable us to care for more wild animals than ever before. "We are proud of our commitment to help all sick, injured or ill-treated animals, regardless of whether it is an endangered species or simply a common hedgehog, crow or seagull." The charity had to turn down councillors' requests that the facility would allow local school children access for educational purposes. Mr Flynn added: "The new facility is essentially an animal hospital, where qualified and experienced staff will be working with injured and sick animals in quiet conditions and with minimal human contacts in order for them to be successfully rehabilitated and released back into the wild as truly wild creatures. "For this reason it is not appropriate to have visitor facilities. "However, we do intend to install cameras in some of our rehabilitation enclosures to enable us to capture and share our work with supporters and for broadcast to children during our educational visits to primary schools across Scotland." Labour councillor George Matchett said: "It's a fantastic national development on a fantastic site which will see tremendous investment coming into the area." Councillor Eddie Carrick, the authority's portfolio holder for sustainability, said: "This is exactly the type of development we want to attract to Clackmannanshire." Last December the councillors agreed to sell the site and adjoining land near Fishcross to the welfare charity after its development and environmental services department deemed it surplus to requirements. The centre, at Beam Engine House, Fishcross, has been empty since it closed in controversial circumstances last year.